This is an amazing gift idea for special people. Surprise the people you love and look at this great handmade pillow in the source site below. It is great for every occasion and for everyone you love and care. 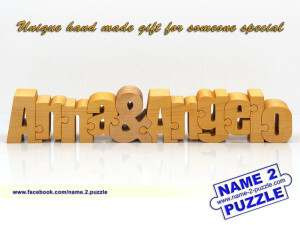 If you are looking for a personalized presents for your boss or your colleagues why not check out this wooden puzzle. 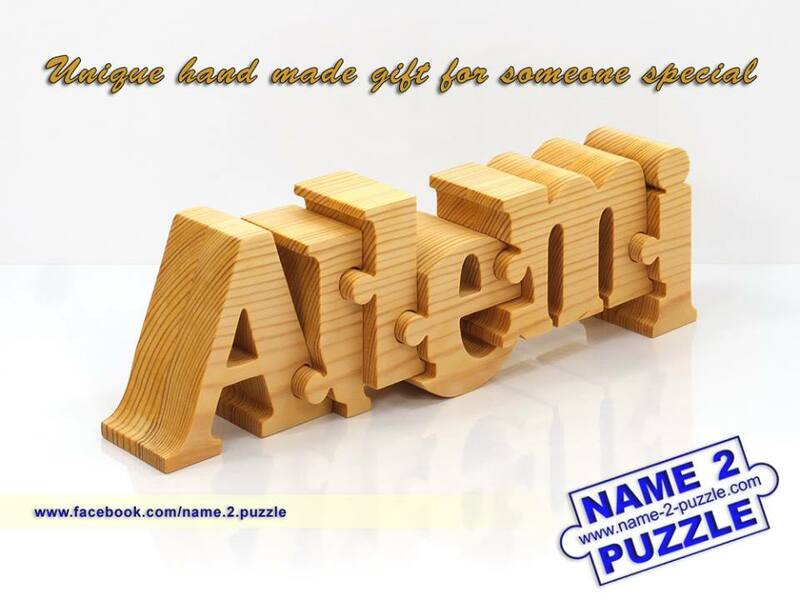 It is personalized and it is handmade from pine wood. 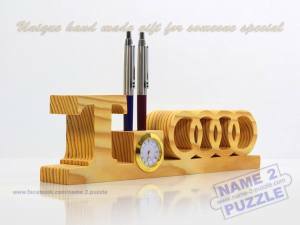 It is a great decoration for the office and a great idea for a business gift. 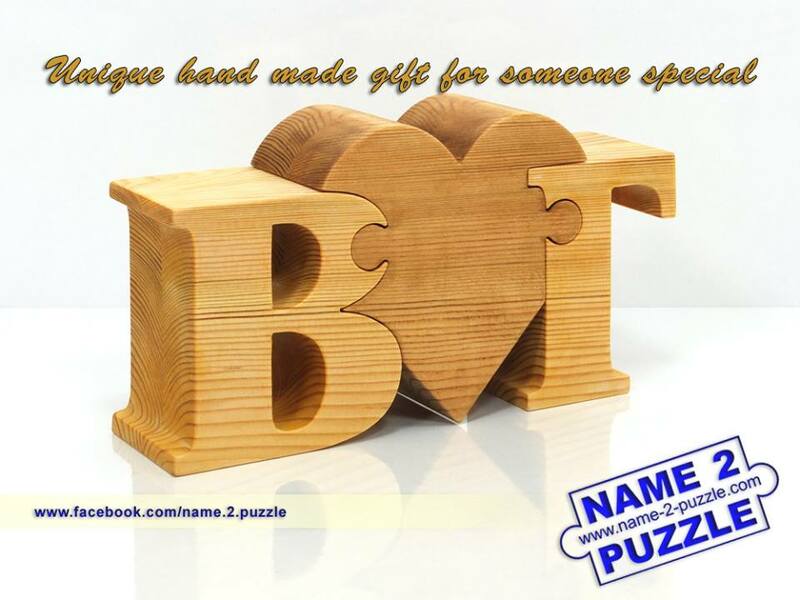 5 inches (125mm) large custom free standing wood initials – wood word made of natural Baltic birch. 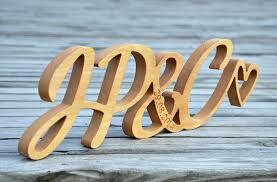 These free standing script wood letters will be perfect for 5th Wedding Anniversary gift, rustic wedding decor, wedding gifts, or nursery decor as well as for photo props. The wooden pen holders are an amazing gift for everyone. They are perfect for every occasion. 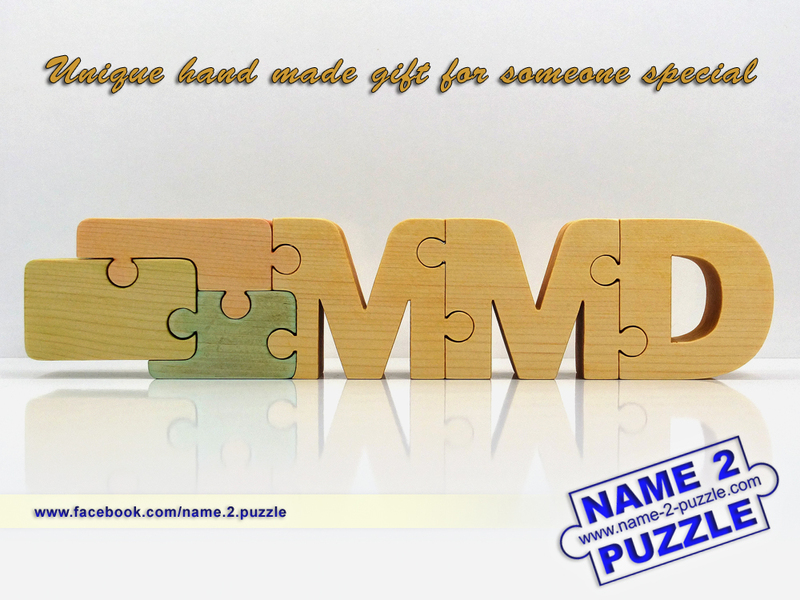 They are custom made only for you. They are made only by order because of their uniqueness. Surprise your loved ones for their birthday, anniversary, wedding and other occasions. 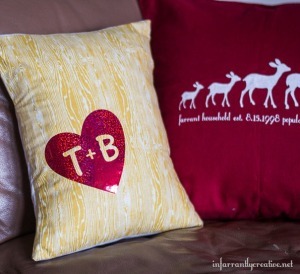 They make a great personalized gift. They are handmade from pine wood and are polished. The natural patterns of the wood are preserved which makes them even more amazing. 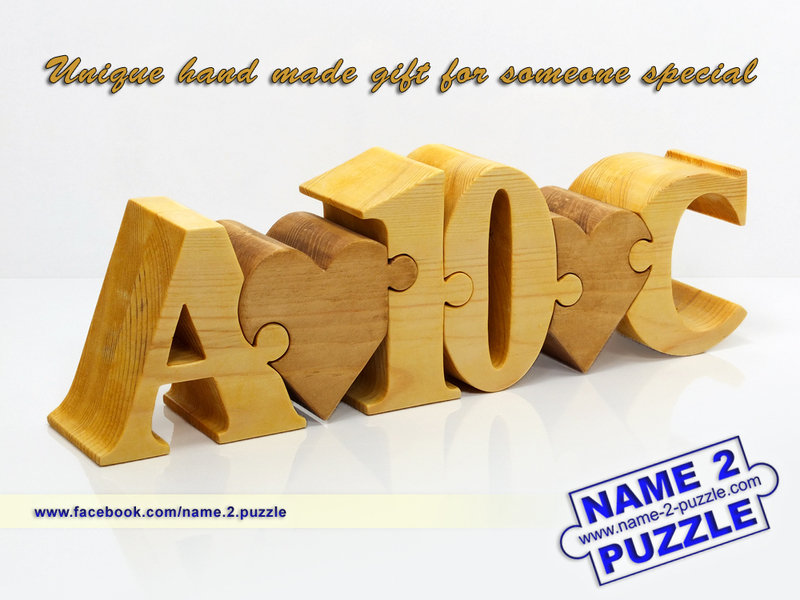 Surprise your loved ones for any occasion and make them smile. 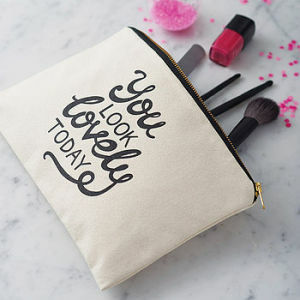 This ‘You Look Lovely Today’ canvas pouch is an extremely complimentary and very useful zip clutch. The canvas pouches make fantastic anytime clutch bags and are perfect for carrying your handbag essentials. They make great makeup bag gifts too because they are great for storing cosmetics and are useful when travelling. 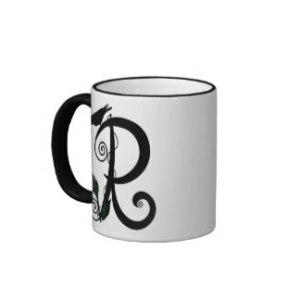 Makes a great gift for friends, sisters and mothers.